If you’ve been asked to serve as executor of someone’s estate, your first move might be to consult with a local attorney and get a firm grasp of the laws in your state. They can vary – sometimes considerably – from jurisdiction to jurisdiction, particularly when it comes to filing the estate’s inventory with the court. Although the basics are often the same, the details can be different. The deadline by which you must file the estate’s inventory usually comes up relatively early in probate proceedings. After all, you can’t meet your other responsibilities until you identify exactly what the decedent owned. In Ohio, the deadline is three months after your official appointment, and in Virginia, it’s four months, but the court may give you an extension if the estate is particularly complex or if there are other complications. Beginning the inventory may be a little like playing detective unless you have intimate knowledge of the decedent’s life. Go over his personal documents for clues. His tax returns should mention any assets that are producing income. His bank statements might lead you to assets that required paying property taxes or fees. If all else fails, talk to family, friends or business associates. 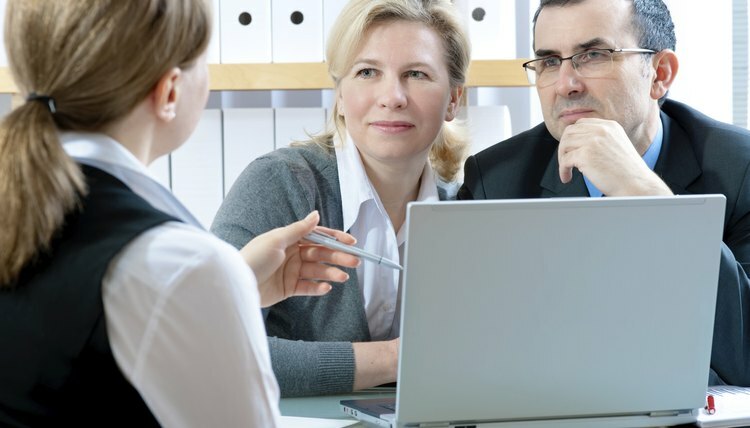 In some states, you might only have to concern yourself with the decedent’s probate assets – those that require court supervision to transfer to a beneficiary. These generally would not include assets the decedent placed in trust or held jointly with someone else with rights of survivorship. They would not include assets with beneficiary designations, such as life insurance or retirement benefits, unless the named beneficiary is the decedent’s estate. In other states, you may have to list these assets in your inventory even if probate isn’t required to transfer them. You must also typically list cash, even if it’s outstanding – someone owed it to the decedent before his death but never got around to paying him. In some states, your search will extend to the decedent's debts – you'll have to list these in the inventory as well. Your next challenge is setting date-of-death values for the property to be included in the inventory. The values of some assets might be readily apparent, such as the balances of investment or bank accounts. For other things, such as real estate or collectibles, you’ll probably have to hire an appraiser to determine how much they’re worth. The estate usually pays for this. Some states, such as Virginia, may allow you to use property tax assessments for real estate, but check with a local lawyer to make sure. If any assets are encumbered by loans, you would not subtract the loan balance, but you would include the balance in a separate statement if your state requires you to include the decedent's debts in the inventory. You may have to play detective again to set the value of smaller items of personal property. Normally, you would use fair market value for these things – what they would reasonably sell for in used condition on the current market. You can check internet sales sites, such as eBay, to get an idea of how much someone would be willing to pay for them. If your state requires you to include debts in your inventory, you would typically use the balance owed as of the date of death. Check with the probate court to find out whether a specific form for inventory is required in your area – this typically makes creating the list much easier. Otherwise, you’ll have to create your own. Each asset must be described in detail, giving identifying account numbers or legal descriptions from deeds. Although you don’t have to list every plate the decedent owned – you can usually list such property as household items – some states require that if an item is bequeathed to a certain individual, it must be listed separately. You may also have to separately list all items of property worth more than a certain dollar value. For example, in Virginia, every item worth $500 or more must be listed. If something is clearly part of a collection, however, you may be able to list it as such. When you’ve completed the inventory, have a lawyer look it over – the estate would normally pay for this service as well. Bird, Beverly. "How to Create an Estate Inventory List." , https://legalbeagle.com/5901377-create-estate-inventory-list.html. 11 April 2017. Can an Executor Disburse the Funds of an Estate While the Estate Is Still in Probate?